Clearly She Was Raised Better Than This. We went to get ice cream and someone in our family (ZOE) selected peppermint. When we came home from Zoe’s hospital stay with the direbetes in tow, we had just gone through three days of pretty intense training regarding the management aspects, like carb counting and dosing and how to treat high and low blood sugar. To say my brain was overwhelmed is a complete understatement. What they don’t tell you when you are sent home on your own, is that you will now think about this disease 24/7. There is no reprieve. On the fourth day of my daughter having diabetes, I cried the ugly cry because I didn’t know what the hell I was doing. What sent me over the edge? I didn’t know what to do with the syringes. 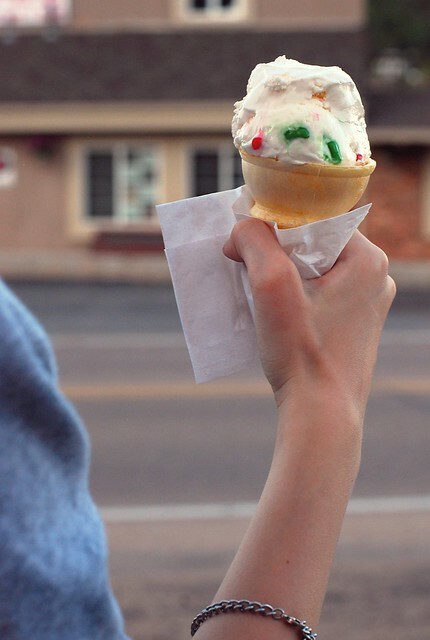 I know now that you can hop into the car and go to the nearest drugstore and by a container for like two bucks. 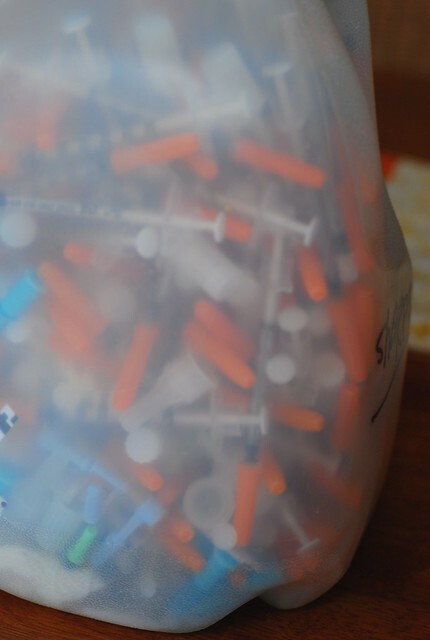 At the time I was starring at the growing pile of used needles and lancets and thinking that Zoe deserves a mother who would actually comprehend what to do in such a situation. Not very rational, I know, but it was completely an irrational time. 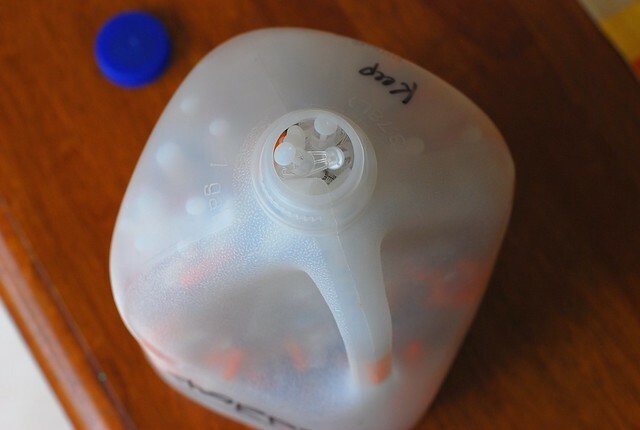 After googling information on where to place used syringes in the state of Colorado, which is as simple as sealing a sturdy plastic container and throwing it away, I located a suitable gallon jug in the garage. In the beginning, I would cry every single time I placed a needle into that bad boy. I made a deal with myself that if I could just fill up that empty water jug with used supplies, no matter how many months it took, that we would make it. That I wouldn’t screw this up for her. I’m not only worried about the treatment aspect, but her outlook on having diabetes and how to handle it emotionally. 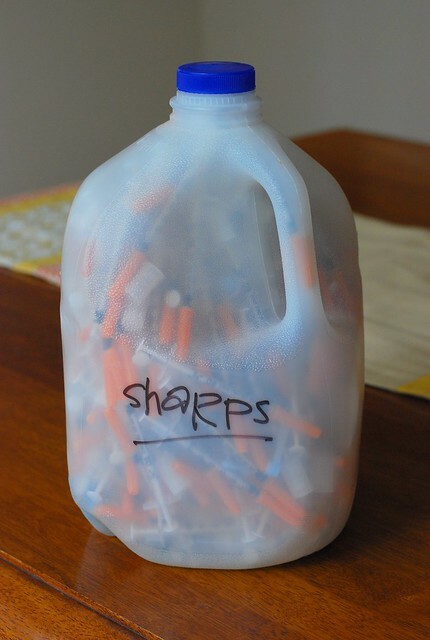 The weeks wore on and I stopped crying every time I placed a needle in that jug, the needle that I had just used to inject insulin into my daughter’s body so she could stay alive. As I began to see the container fill up slowly, I also began to see our progress, my own progress, with accepting the direbetes into our lives. I took five months and the container is filled to the brim. I will seal it up and we start fresh. And with that, I believe I can do this.